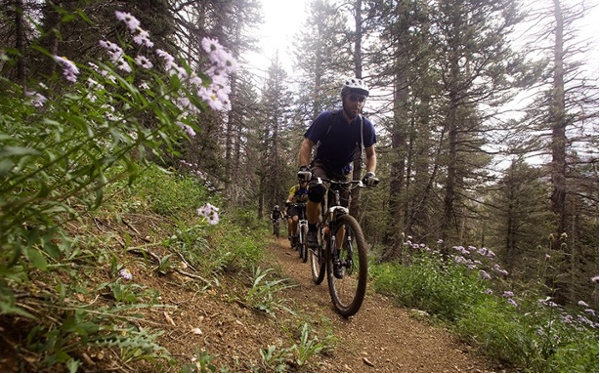 This blog was written to answer a common question for the sales team and for prospects on the site that haven't ever been on a mountain bike vacation before. It answers a simple question: What is it? Thanks to the internet, most prospects do most of their research online these days so if they come to the site and are wondering what the heck Western Spirit does, they can read about it on their own. Or if they email the office with that question, the sales team can respond with this and a few other pieces of content that can explain what they are and get prospects excited about them better than a simple response back can, thus helping to move the deal along and shorten the sales cycle with content. It also helps the sales team be more efficient instead of taking much longer to answer the same question over and over again. Ask us about sales enablement and inbound selling to learn more. Click the image to view the content.